We are an international buying group of independent electrical wholesalers with an operating turnover in excess of £280million. Our diverse network exists through 100+ branches across the UK & Ireland, with specialized subsidiaries in other parts of the world. 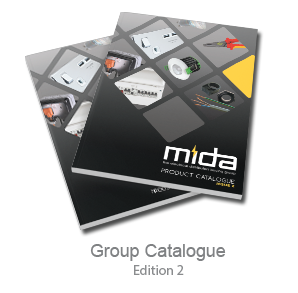 MIDA has a wealth of experience, and a vast distribution channel, that is second to none. MIDA members are privately owned businesses providing expert local knowledge, with the friendly service and supply of market leading brands, all backed up with the vast national buying power that the group is able to offer. In working closely together with our members, and in utilising our strength in numbers, MIDA boasts a service of excellence in many facets of business that enables our clients to project themselves throughout a global network, spreading their local expertise in to areas that independently would have otherwise not been possible. Please explore our website, and as you do, our hope is that you will gain a greater understanding of MIDA, and all who are associated. If you are looking to purchase, then please use the locator tools to identify from our network, those members who are closest to your needs. Alternatively, if you seek membership, or wish to become endorsed group suppliers, then please contact us for more information. Liz begins her 9-Month Holiday!